Elise is a natural light photographer serving Blue Bell PA and surrounding areas. She specializes in maternity, newborn, family, and real estate photography. Hello there! My name is Elise and I am a modern documentary/lifestyle photographer & videographer serving the Blue Bell/Montgomery County PA area. I am a storyteller capturing authentic moments of both my family and my clients. When you become a parent you literally have a new reason to live. Whether it be your first, last, or somewhere in between, it is such an amazing experience. Becoming a new parent is an overwhelming transformation. A new purpose in life. This feeling is the driving force for what I want to provide for you. I want to give you, as a parent, the gift of being in the pictures with your family and help you document your kids growth over the years. Because with time, a photograph becomes even more meaningful and more treasured. If you decide to go with me, then I promise you will have pictures you’ll love looking back on for years to come. 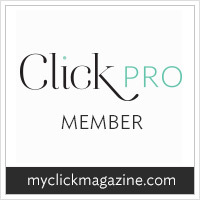 I belongs to an online community called Clickin Moms where I am an accepted member of their ClickPro organization. A ClickPro is an application only based organization that includes a diverse group of professional photographers that demonstrate creativity, vision, and technically excellence in photography. I am also a regular contributor to my neighborhood publication, Blue Bell's Finest Magizine.